Package from Turkey! — . I love buying all sorts of items from Etsy! I have purchased everything from pictures, t-shirts, ties, birthday decor and even cookies. I love purchasing hand made and customizable items! 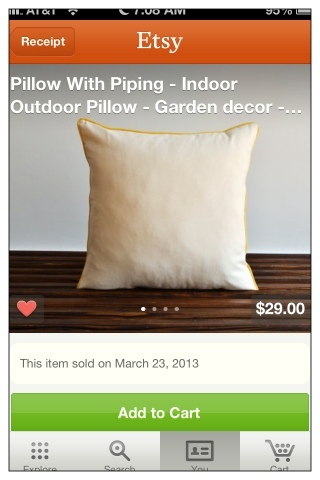 My all time favorite item to buy from Etsy is pillow covers! 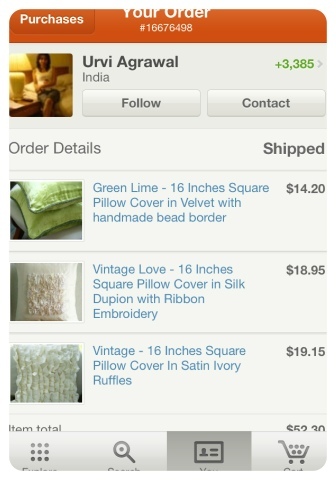 I bought my first few Etsy pillow covers from The Home Centric! She is amazing! 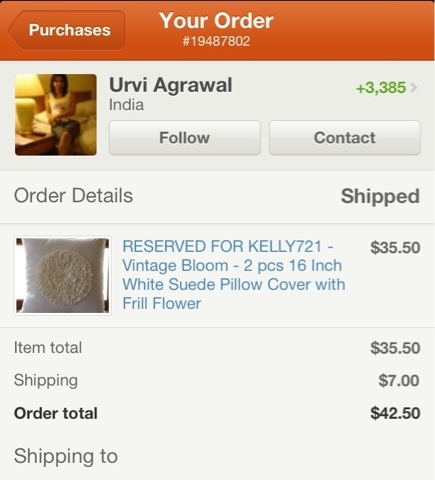 She lives in India and all the pillows are made by hand with beautiful fabric. She is even making curtains now which I am very excited about!!! 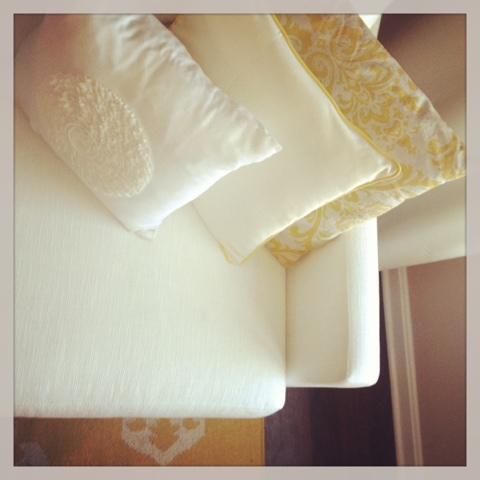 My original color scheme was green and white (See below) and I still use these pillows during the holiday season! These pillows were purchased in January 2010. You just can not find this handmade quality in a store!!!!!! Today I was thrilled to find this package in the mail! 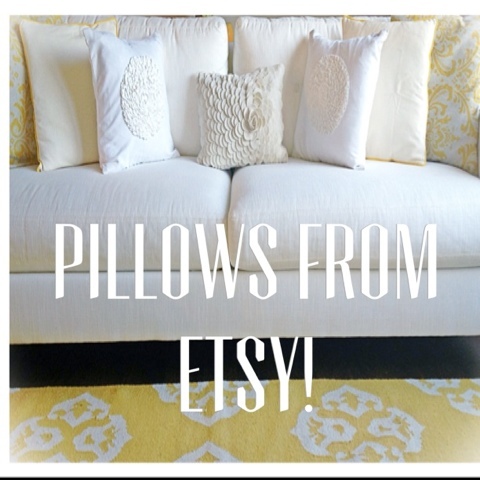 These pillows are from Turkey also from Estsy at PillowMe! I was searching for a pillow that would blend well with the yellow medallion rug I have and the Yellow Damask Pillows that I already owned. PillowMe had excellent service! 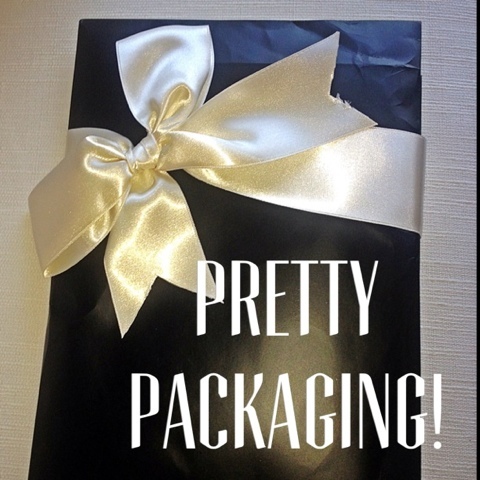 The packaging was beautiful. 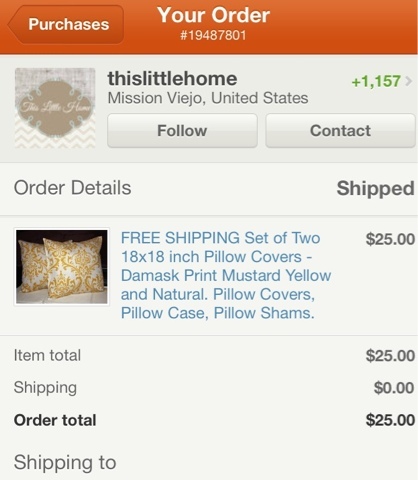 the shipping was extra fast, and she even sent me an extra pillow cover due to a small confusion/language barrier! I will definitely buy from this store again! 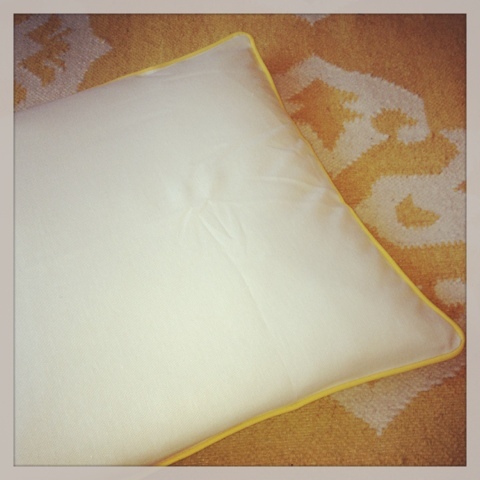 I was so excited to see when it arrived that the color matched perfectly with my rug and cream drapes! YAY! 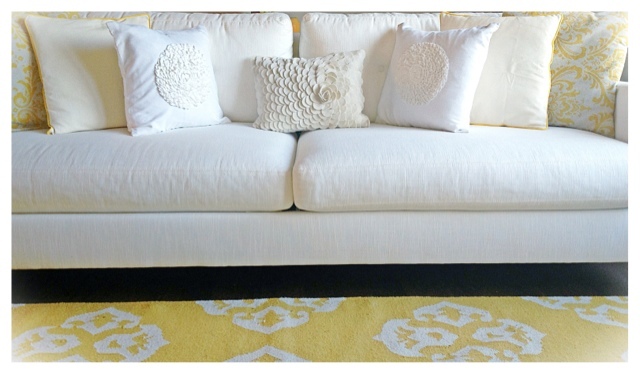 I wanted the color to coordinate with my cream silk drapes ,and yellow rug but not clash with the strong patterns already on the rug and demask pillows! I was stumped... until I found these on Etsy!!!! Aren't they simple and beautiful? They coordinate with out clashing with the other pillows! 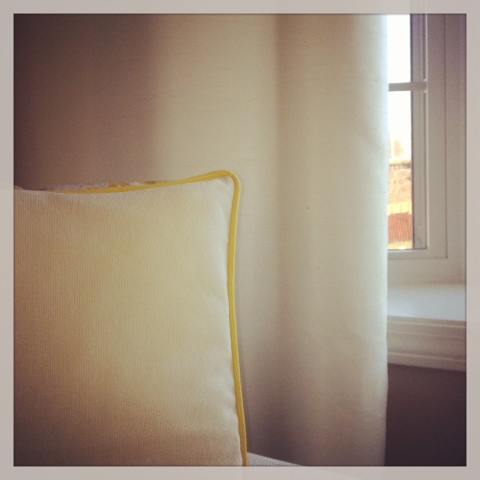 The yellow damask pillows are also from Etsy from thislittlehome. You will also find afordable curtians on this site too!